Clever design makes the 26 feel like a much bigger boat, with large double perspex doors separating the cockpit area from the living area. 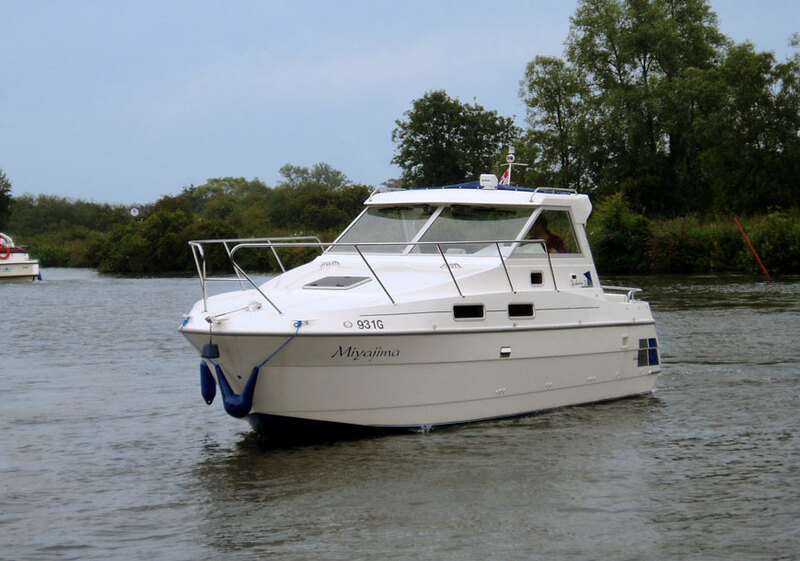 The cockpit area has bench seating at the rear along with two bucket type seats for the helmsman and co. Access to the engine and bilge hide under three large lifting hatches. Full canopy with removeable sides supported by stainless frames ensures a comfortable and dry trip regardless of the weather. Once inside the cabin light is provided by several lewmar windows and a roof hatch. A compact toilet and shower is provided with storage for toiletries. The galley sits opposite seating and the dinning table. Huge under seat lockers provide ample storage. Further seating forward provides a place to stretch out and relax. Downlighters through out provide all the light you need when dusk settles. 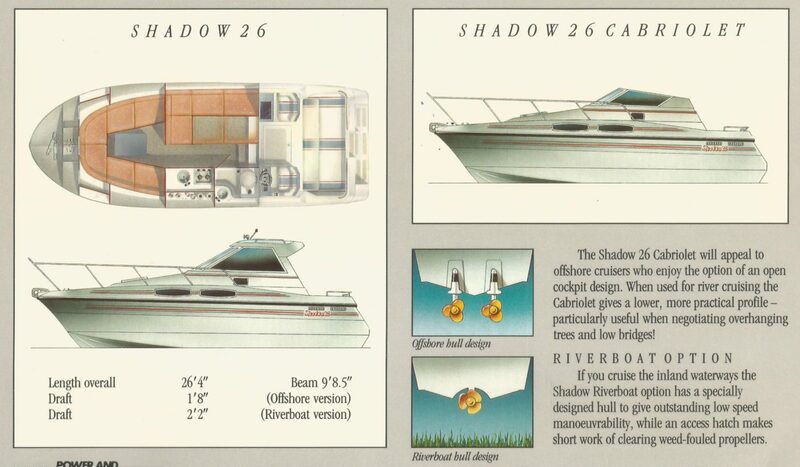 The 26 can be built as a river or sea version, cabriolet or fixed hardtop versions. Generous use of soft fabrics and carpets and a choice of wood finishes uphold shadows reputation for quality cruisers built with over 30 years of experience. Price from £69,950 + optional extras at additional costs. Price includes vat.